The Jin Shin Jyutsu Professional Practitioner Course is a joint presentation by the Atlantic Health System and The Mary Burmeister Jin Shin Jyutsu Institute. The course is held at Atlantic Heath System’s integrative medical facility, the Chambers Center for Well Being, in Morristown, New Jersey. The Center is a new, 20,000 square-foot space which houses Board-Certified Integrative Medical Physicians, nurses, nutritionists, and fifteen treatment rooms for acupuncture, massage and energy work. Additionally there is a gym, cooking studio, healthy menu café, wellness-themed gift shop, and large classroom. 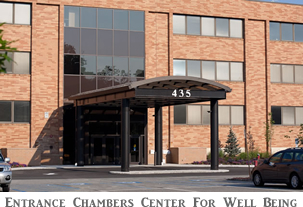 For more information, please visit the Chambers Center for Well Being. The Center is located at 435 South Street, on the second floor. There is ample parking.